Cold brew tea on tap, anyone? 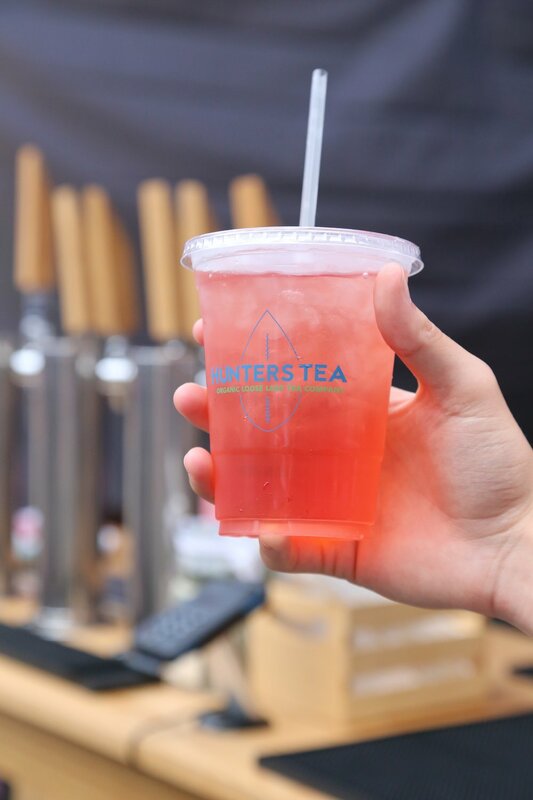 You can find yourself a nice, refreshing cold brew tea every Sunday at SoWa in the Farmers Market. Hunter's Tea sells everything from loose leaf teas to take home and brew yourself to nitro cold brew on tap + specialty supplies. After starting in late 2016, they have been growing and perfecting the craft ever since! Hunter's Tea is a small family run company based in New Hampshire. After being unhappy with the selection of whole leaf, organic tea blends, they took matters into their own hands. They now craft exclusive speciality organic blends. Their teas contain elements such as organic full leaf teas, organic dehydrated fruits, and organic spices undergo meticulous vetting to assure their freshness and quality. Hunter's Tea specifically uses single estate teas lead to a refined taste, increased quality, and delicious flavor. Be sure to stop by the farmers market every Sunday to try their tea. Their menu changes so there is always something new and refreshing to enjoy! If you love it, pick up a bag of their tea to brew your own at home. You can find tips + ticks to brewing cold brew tea here on their website. "Our goal is to have the cold brew tea bar travel all over New England serving up the best organic cold brew tea and nitro cold brew tea. We also consistently change out the taps offering a variety of cold brew and nitro cold brew teas. We're thinking about hosting a Nitro Tea day and only serve six different Nitro Teas. Were also currently producing in larger volume and starting to distribute our organic cold brew and nitro cold brew tea in August. " Newer Post#MakerMonday: Black Magic Coffee Co.